The world’s biggest burger chain captured celebratory news headlines in April by announcing it was going to increase minimum wages for those at its corporate restaurants, but just how many workers that decision will affect may still be up in the air. 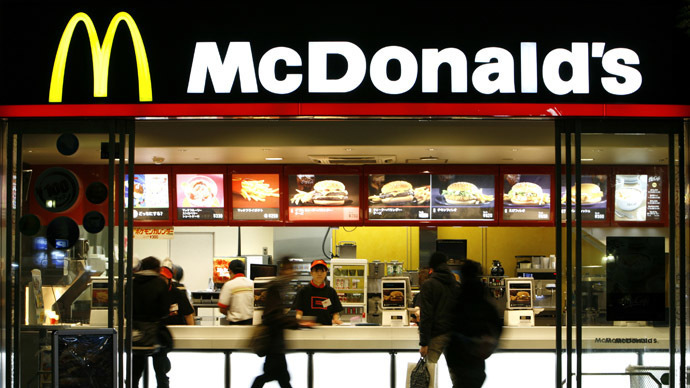 Tucked into McDonald’s new turnaround plan, released this week, is the fact that the company plans to sell off 3,500 corporate restaurants to its independent franchise operations. Importantly, it is at its corporate restaurants that it promised to increase minimum wages. This “refranchising” is scheduled to occur by 2018, and McDonald’s expects to see the total percentage of its restaurants run by franchisees reach 90 percent worldwide by that time. Currently, 80 percent of its restaurants are franchise operations. What isn’t clear is how many of these corporate run-restaurants that McDonald’s plans to spin off are in the US – and would thus be able to avoid raising wages – and how many are part of a global strategy. Just last month, a few days before a national strike by fast food workers, which demanded a $15 an hour minimum wage, McDonald’s announced it would raise pay at its 1,500 corporate-owned US restaurants. The company said it would increase wages to $1 over the legal minimum wage, an average of $9.90 an hour, by July 1. An additional increase to more than $10 by 2016 is also planned, but franchise operators are currently exempt from the move. Reporting $800 million in first quarter earnings this year, McDonald’s remains the king of American fast food industry, with $35 billion in US sales last year. While it leads the fast-food field, coming in ahead of Burger King, Wendy’s, Taco Bell and KFC, it is facing competition from newer eateries like Shake Shack and Five Guys, as well as places where customers think the food is fresher, like Chipotle Mexican Grill and Panera Bread. McDonald’s turnaround plan, called “a modern, progressive burger company,” also involves restructuring its global operations, slashing costs and changing its menu. The turnaround plan involves dividing the company into four parts: the US; Canada and France, which it calls international lead markets; China and Russia as its high-growth markets; and the rest of the world. Easterbrook said the changes would cut $300 million in costs per year.